When you start doing your stand up paddle board shopping, you will see that some of the boards are sold with nothing else and others come with some accessories. Often, it is the inflatable SUPs that come as part of a package deal. The things that you might get with your iSUP include a carry bag, a pump, a paddle. I have also seen solid SUPs come with a roof rack included. The reason that I point this out is because buying one of these everything included SUP deals can save you money since you’d have to buy those items separately otherwise. Stand up paddle boards have weight limits. And those that are longer and wider are able to hold more weight. So if you want to get two people on a board or if you are a heavier person, then you need to keep you shopping to SUPs that are wide and long. Though there are some great options when it comes to the best cheap stand up paddle boards, the cost can still be too high for some people. 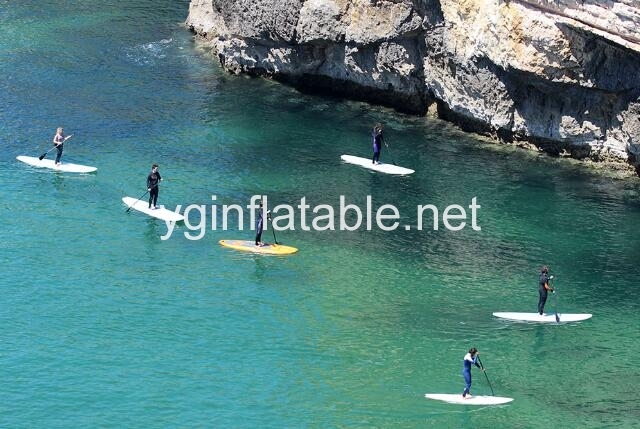 If you are one of those people, or if you just want to save a little bit of cash, then you can consider shopping for a used SUP instead of buying yourself a nice new one. Shopping for a new board is not much different than looking for a new one. Since a lot of the available models on the used market are the more expensive models, it might be difficult at first to locate a good, cheap deal on a used SUP. Stick with it though and you should be able to come up with something. 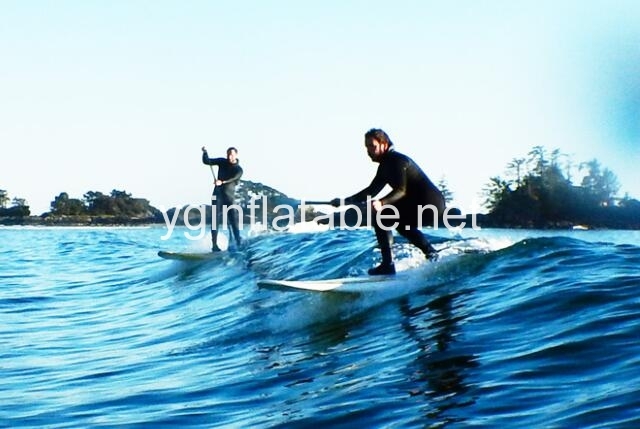 When it comes to price for a used stand up paddle board, you should familiarize yourself with the new price of any used board you’re looking at. This gives you an idea of what the owner paid so that you can negotiate from there. You will definitely need to inspect an used SUPs that you’re considering buying to look for damage. Often the fins have some visible wear since this is one of the first things that owners end up damaging. Know that you can replace damaged fins, but that it will be costly. You’ll also want to check the bottom and sides of the board for damage. It is best to avoid sellers who are not showing you any images of the bottom of the board in their for-sale ads as it likely means that there is some damage to the underside.